During the 2010 Legislative session, the Iowa Smart Planning Task Force (Task Force) was created. Since then, the Task Force has been researching, developing, and evaluating policy options to support and enhance integrated smart planning in Iowa. On September 15, the Task Force released draft recommendations that will be part of a report submitted to the Governor and the Iowa Legislature in November. So I find myself in Clive waiting at Holmes Auto for my passenger-side axle to be replaced (yes, a twenty-minute oil change turned into a four hour repair). Of course, I should have expected it when I said "...and would you also check out the clunking noise coming from the passenger front tire?" Not my favorite way to spend a beautiful Summer day - I'd much rather be working on my front porch! For lunch I declined the offer of a ride from the friendly repair manager and decided instead to venture out and take the one-mile stroll up NW 114th to University. This post addresses the pedestrian experience on my walk. Do you Know an Endangered Building? 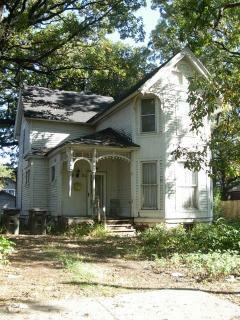 Victorian Home in Danger of DemolitionIs there an abandoned home in your neighborhood that you would like to see saved? Perhaps a unique vacant storefront or even a cool gas station? Here is your chance to get some publicity for a building you think we all should know about: the Des Moines Rehabbers Club is seeking nominations for the 3rd Annual "Most Endangered Buildings" list! An old railroad depot, a one-room schoolhouse, and a decaying Victorian home are all finalists from past years' lists. Register (for free) at http://RenovateDSM.com and fill out the online nomination form - you must be logged in to view this form. 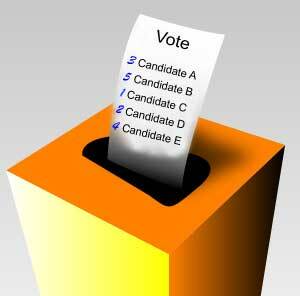 Print a nomination form, fill it out, and mail it back. Nominations are DUE by October 8, 2010. More information about the Most Endangered Buildings list can be found on the Des Moines Rehabbers Club website at http://renovatedsm.com/node/593. Individuals and organizations are encouraged to nominate endangered buildings that they would like to see saved. Drake Neighborhood StreetscapeI will be presenting a talk at the upcoming State of Iowa Historic Preservation Conference in Red Oak. My topic, also the subject of my talk at a Terrace Hill Tea, is "Why Old Buildings Matter". I am not a strict preservationist. My basic approach to renovation design is to identify those elements I feel are "character defining" about a building and open everything else up to reinterpretation. My personal threshold is somewhat less than the State Historic Preservation Office. Of course, when I am working on a historic tax credit project, I conform to their requirements. The exterior is of particular importance in most historic buildings because the relationship between buildings is often a character defining element of a neighborhood. 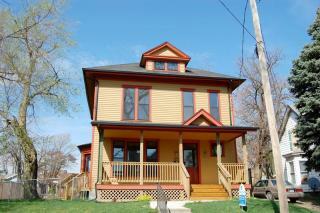 Consistency of character across a neighborhood or sub-neighborhood enhances the value of all the homes. Context - The shape and size of homes, and their pattern of arrangement into neighborhoods, both influence and are influenced by broader social, economic, and technical forces. Narrative - To people who know what to look for, old buildings can weave just as complex a narrative as the greatest storyteller. These narratives give us a connection to the past. Craft - Most of the materials and methods we use to construct our buildings today are designed to be replaced rather than repaired when damaged (and they tend to damage more easily). Sustainability - At the individual level, extending the useful life of a structure through renovation allows us to improve energy efficiency while minimizing use of new-source construction materials. On a larger scale, renovation and preservation allow us to better utilize existing infrastructure and provide services more effectively to more people. Come to Red Oak to see the whole presentation - hope to see you there! 201. “Leadership in Energy and Efficient Design” requirements for publicly financed building construction. While energy efficiency is a laudable and necessary goal, requiring all publicly financed buildings to conform to LEED standards is in my opinion an ill-advised and expensive approach. A better approach in my opinion would be to determine a set of targeted performance-based criteria and encourage creative solutions. "LEED" is sometimes used interchangeably with "energy efficient" and "green", but it refers to a specific set of standards and procedures implemented by the US Green Building Council. It is an expensive process simply to go through the certification, let alone meet the criteria. There are other established standards that should be explored as well before committing to LEED as a goal. Even better would be to encourage reuse and renovation of existing structures! 202. Reducing urban sprawl with two-rate property tax on commercial properties. I'm not sure what this means, but it is not the right way to reduce suburban sprawl. The form of our cities is largely determined by transportation investment. The way to promote centering of development is to invest in transportation infrastructure that encourages density. Comprehensive transportation and land use planning should occur within a framework of incentives that shift public subsidy from suburban expansion to urban revitalization. Such a revision in priorities would also preserve valuable farm land. 203. Counties issuing zoning permits. I'm not sure what this one means either, or what problem it is trying to solve. Zoning is primarily a City function. I do believe that comprehensive planning should happen at multiple levels, including state-wide. A discussion on exclusionary single-use zoning is a topic for another post. 204. Enforcing laws protecting ambient air quality. Yes. We should enforce existing air quality laws. A laudable goal. The implication here is perhaps that the consequences of "development" can be mitigated by green building. The greenest, most sustainable building is the one that doesn't get built. I believe that it is nearly impossible to have "sustainable" development at the fringes - there are simply too many developable and redevelopable sites within the existing developed areas. 206. “Complete Streets” legislation that promotes safe community transportation networks accessible to all users. On a side note, one of the few places the Republican and Democrat platforms agree is in opposing Eminent Domain. Another side note: the Iowa Democratic Party platform is just plain poorly conceived, poorly written, and poorly formatted online. Not only does it weigh in at a hefty 382 platform statements, but almost all of them are way too specific to serve as guiding principles - particularly because most of them have no explanation. My advice for the next round: cut it by half and hire a graphic designer to design the publication. Several factors go in to determining how "urban" a neighborhood is: compactness, connectedness, population diversity, diversity of use, and relationship between the private and public space. 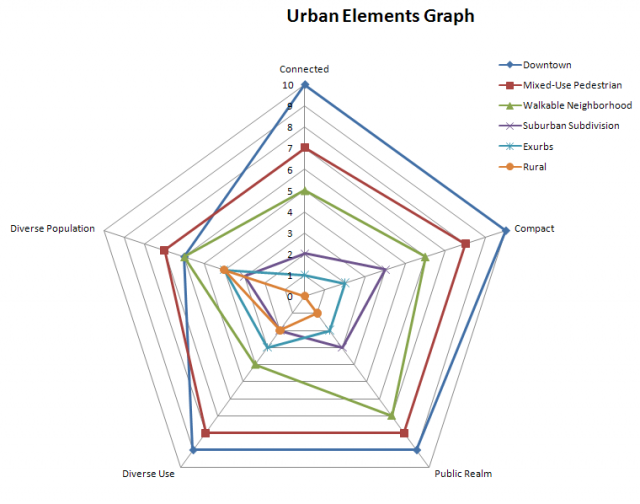 The following graph plots these characteristics for a variety of different neighborhoods. The more area enclosed by the graph, the more "urban" a neighborhood is. Continue below the graph for some examples of how it relates to actual Des Moines neighborhoods. Campsite at Long Branch State ParkI spent a couple days camping at Long Branch State Park in Missouri this past weekend. Camping in a typical state park is about as "urban" as you can get and still be sleeping in a tent: running water, electricity, showers, and even bags of ice and firewood delivered by a friendly "host" in a golf cart! This time around, however, we opted for the slightly more secluded walk-in sites set back from a central parking lot by 50 yards or so. An easy 3 1/2 hour trip south from Des Moines, Long Branch is a gem of a State Park. As long as it doesn't storm. But what I really want to talk about here is Bloomfield, Iowa, a town about midway between Des Moines and Macon, Missouri. Bloomfield is the Davis County seat. Visual cues tell the user which building to approach. The courthouse is situated in the middle of a traditional town square. It is the tallest building in the town (perhaps in the county, excepting grain elevators). It is encircled by a ring of two-story brick commercial buildings that face the square. There is simply no question that this building is a place where important things happen. Gracious pedestrian approach. A sidewalk circles the block, with walkways that directly and understandably approach the building at its main entrance (see below). Old growth trees provide cover for pedestrians and frame views of the building itself. Understandable and well-marked entry to the building. A grand staircase clearly marks the entrance to this building. From any vantage point, the entry process is clear (assuming, of course that it hasn't been compromised by security procedures that force people to use an obscured entrance). Clearly, this courthouse was built as a monument to the law. It must have been a massive public undertaking, though it cost only $45,000 and change at the time to construct. As public architecture, the traditional town square really cannot be improved upon. It truly serves as the heart of the community. It is a stately anachronism that has thrived in an era of budget cuts and anonymous public buildings. According to the online history of the courthouse this building was conceived as just such a place. At his Fourth of July address on the public square in Bloomfield, July 4, 1876, Colonel S.A. Moore said, "A new and brighter era of peace and prosperity is dawning upon the nation, that ere long will throw the full tide of its glory upon a united people; and in view of this coming prosperity, Davis county will erect a public building that will do honor to the present and future generations." Experience for yourself the impact that a street full of single-occupancy vehicles has on traffic and congestion! Urban Ambassadors is bringing together sustainable transportation advocates in Greater Des Moines to recreate the famous Munster, Germany photo (see profile pic) in our fair city. Plus, have a fun after...-party to network and meet crazy, interesting, fellow residents!